It was announced at the Heart of England Village in Bloom on Thursday 12th September that Acocks Green Village had won a Silver Award for its many improvements. They were of course impressed with the new street furniture, some of it new and some of it painted, which the Highways Division of the Council had installed ready for the day of judging. The judges also commented on our heritage buildings and the biodiversity of Westley Vale Millennium Green. They were impressed with the street cleaning and of course Mallard Community Orchard. They considered the mural at the orchard the highlight of the whole route and sent a big well done to local artist Hannah Brown. They also commented that it was good to see the support from the local businesses, some of whom had put planters and hanging baskets in place and some had provided refreshments to our working team. “This has definitely proved that the people of Acocks Green are prepared to make it a place in which they can be proud to live! We have new projects in mind for next year, and we are seeking additional volunteers for many of the jobs involved, it’s not just about planting. There are a variety of ways that you can help the project”. This entry was posted in Events and tagged Acocks Green, Acocks Green Village in Bloom, Britain in Bloom, civic pride, Fran Lee, gardening, Hannah Brown, Heart of England, RHS, silver award, volunteering, volunteers. Bookmark the permalink. 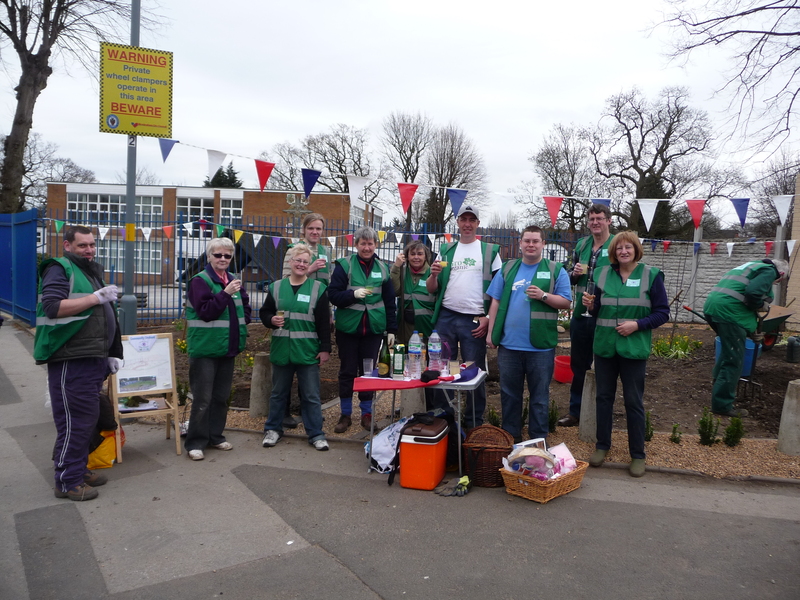 6 Responses to Village in Bloom – Silver Award! Fantastic to get an Award – but even more fantastic to see the village looking so wonderful. I really have enjoyed the beautiful flowers and I took a friend who was staying for the weekend (she lives in Essex) to see the orchard and she too was very impressed. Thank you to all the team for your hard work. It makes a big difference. Nice to hear such positive comments about the village. Yes, thanks for sharing your positive comments. We need to keep the momentum going to keep improving the village.